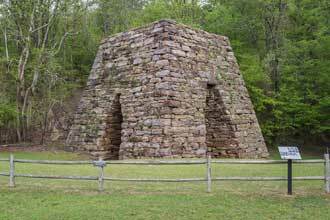 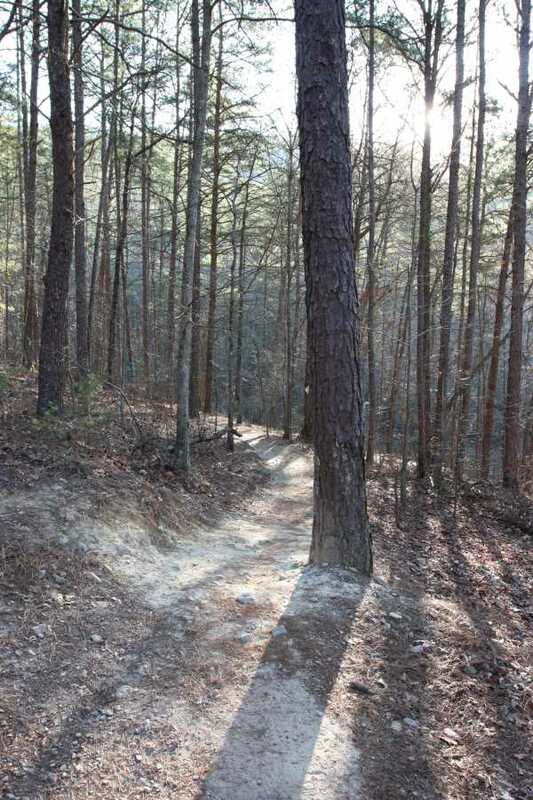 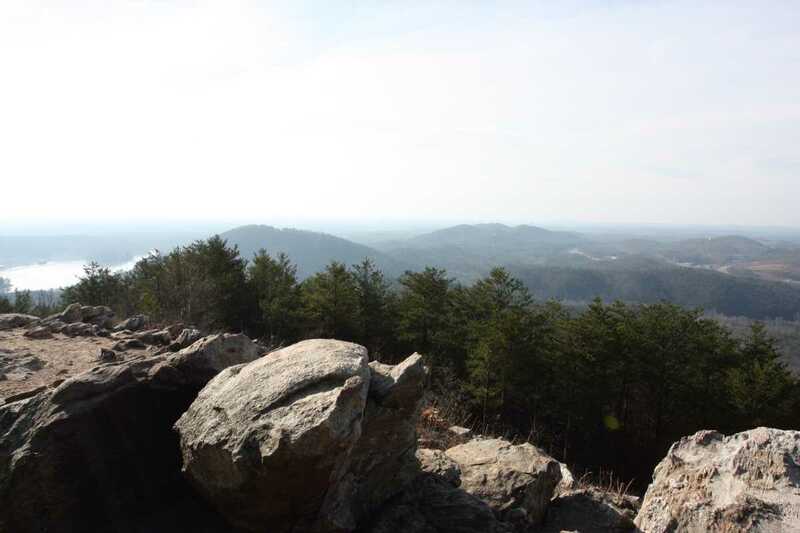 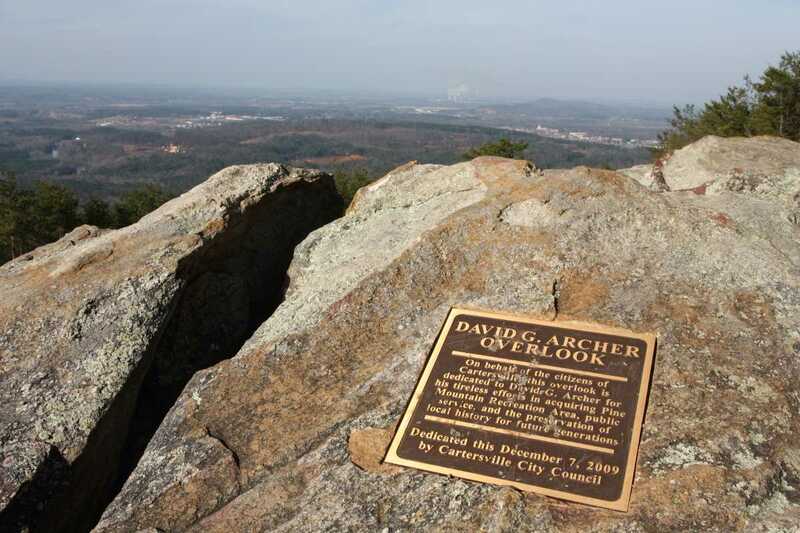 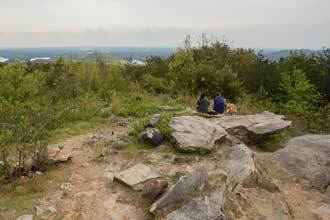 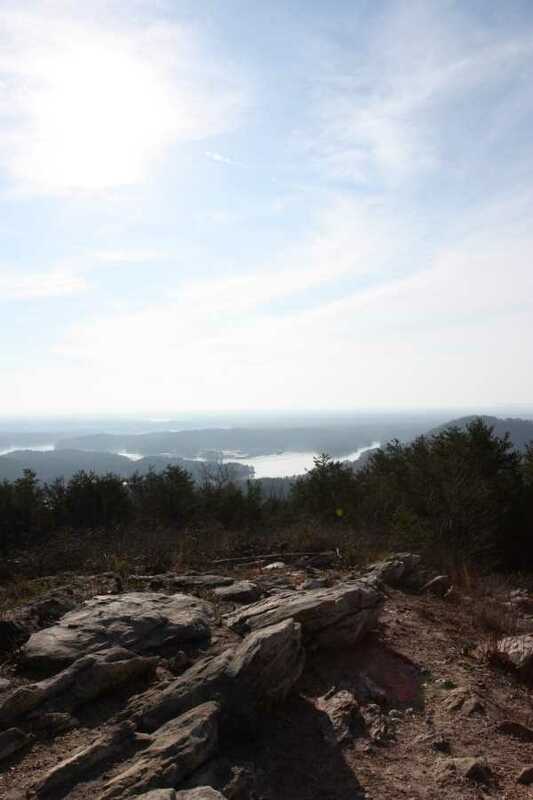 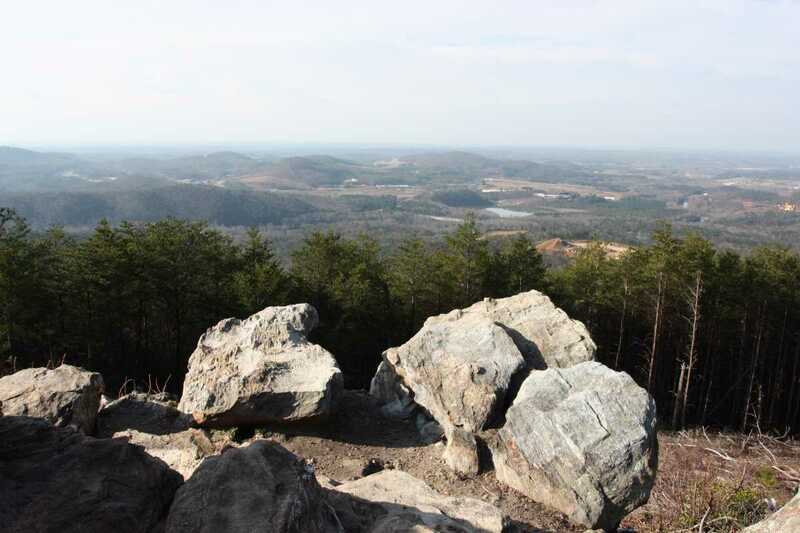 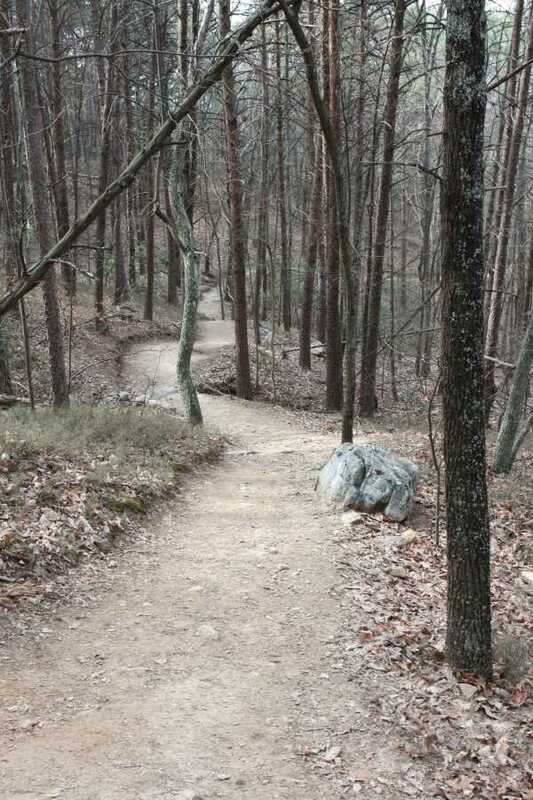 Climb to an expansive 180° view along the Pine Mountain West Loop trail in Cartersville, GA. With views from Lake Allatoona to Plant Bowen, at less than 30 miles outside of Atlanta, this is a worthy short trail for those that like a little challenge as well. 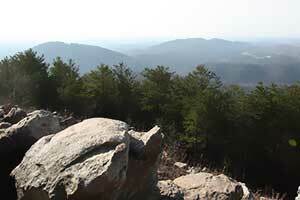 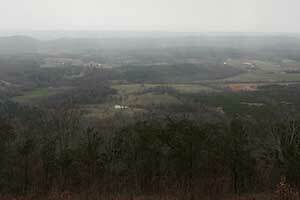 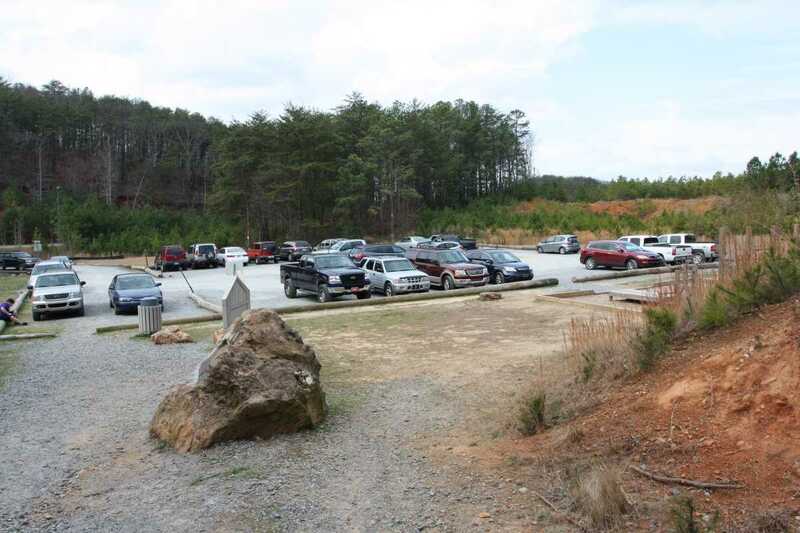 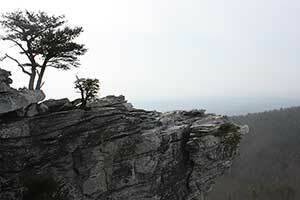 Although the parking lot is pretty large, it's still to small for the popularity of this hike, so get there early. 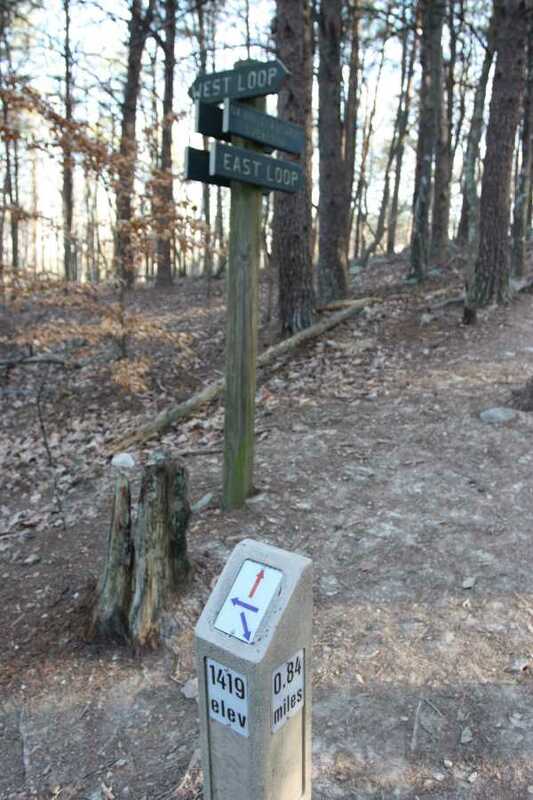 The trail leaves the parking lot, passing an emergency call box before coming to the intersection making up the West Loop in either direction. 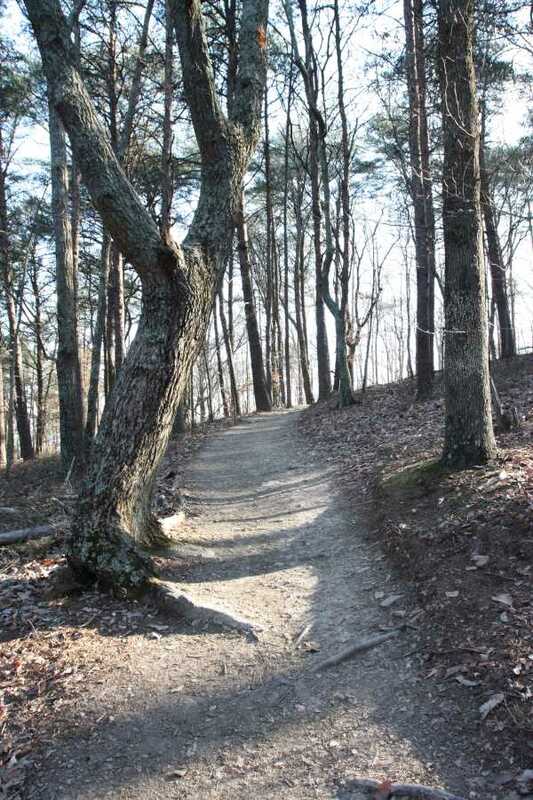 Whichever direction you take, the trail begins to climb, switchbacking up the steep hillside. 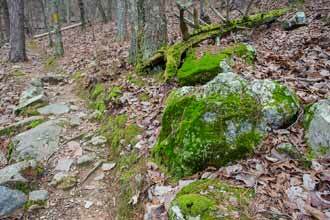 The trail is well maintained, but the 600 feet elevation gain in less than a mile can wear you out quickly in not in good shape. 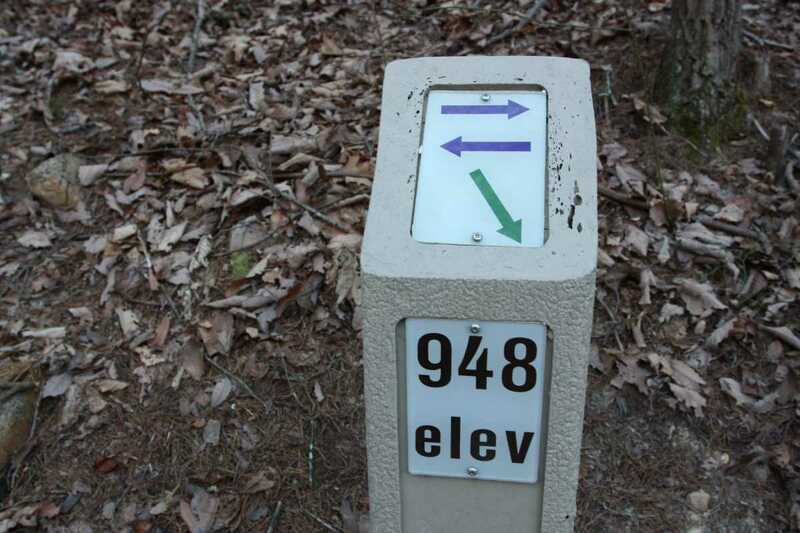 Reaching the top of the loop, follow the signs and continue to hike along the connector trail that joins with the East Loop and the .15 mile rock-lined spur trail to the summit. 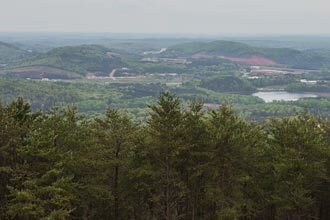 Your hard work will be rewarded with 180° views to the south covering Lake Allatoona, the surrounding hills, Cartersville, and Plant Bowen, a coal-fired power plant 7 miles to the West. 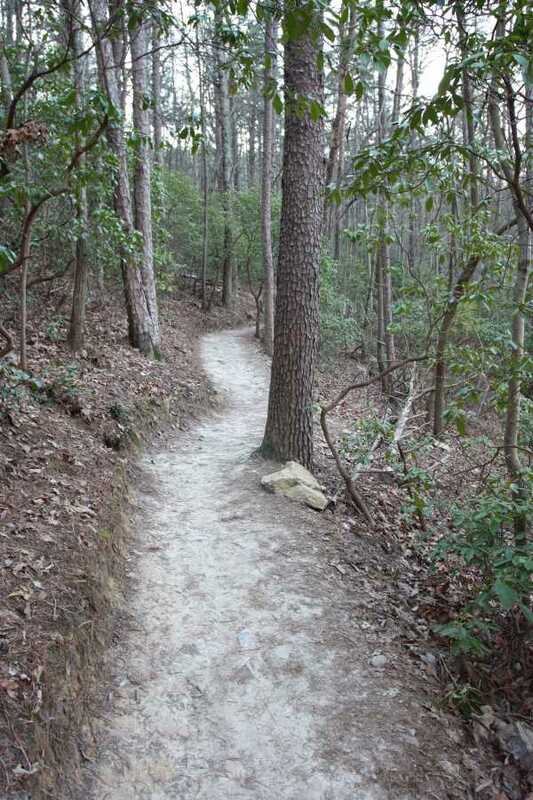 From here, you can head back the way you came, descending down the opposite side of the loop or you could continue hiking the East Loop to make this a 4.7 mile double loop. 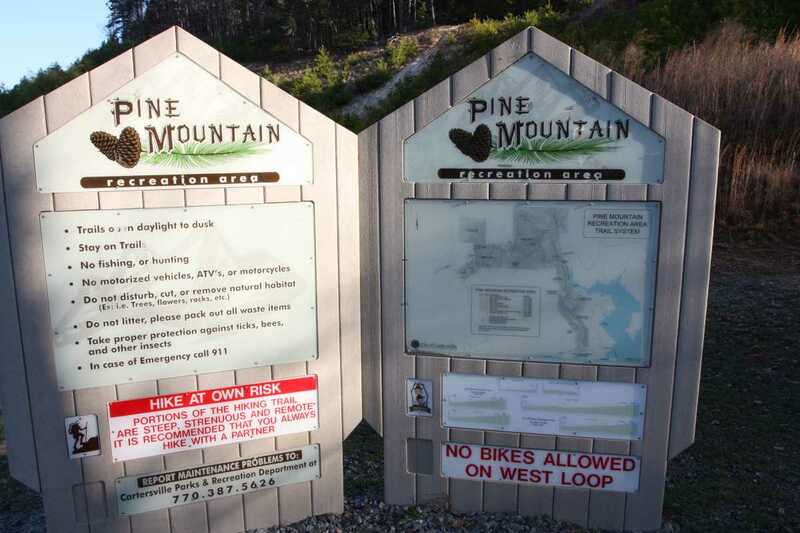 This loop is the most popular way to summit Pine Mountain. 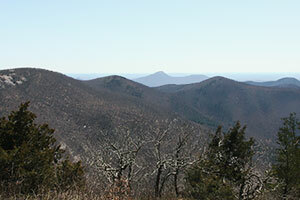 Although it can be a little crowded, it is still a worthy and rewarding hike with great views to the south from the summit. 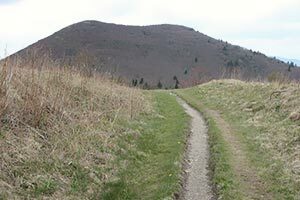 Make it longer by adding the East Loop for more challenge.